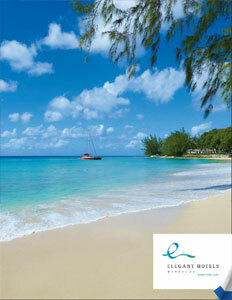 Business View Caribbean Magazine profiles Elegant Hotels – Barbados, a group of six luxury hotel properties, located in Barbados. The word “elegant” has the following definitions: tastefully fine or luxurious in dress, style, design, etc. ; pleasingly graceful and stylish in appearance or manner. So, based on those descriptions, if you’re going to call anything “elegant,” you had better back it up with the goods. On the island of Barbados, in the Lesser Antilles region of the Caribbean, there is a group of hostelries that calls itself the “Elegant Hotels Group.” And, for the discerning traveler, it definitely has the goods. The Elegant Hotels Group was formed in 1998 from a collection of five Barbados properties that had been constructed independently in the 1950s and 1960s and was previously known as the St. James Beach Hotels – The Tamarind, The House, Colony Club, Crystal Cove, and Turtle Beach. This past March, the Group expanded to include the Waves Hotel and Spa which is slated to open for business, this August. And, of course, a truly elegant one, as well. 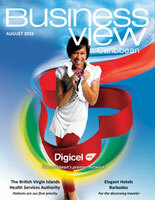 Check out this handpicked feature on The Sheraton Mall in Barbados.